It does take courage to record a solo CD on bass clarinet. But Jason Stein knows exactly what he is doing. Being a very active member of the Chicago new music scene, his solos are not songs, per se, nor displays of bravado or ostentation. 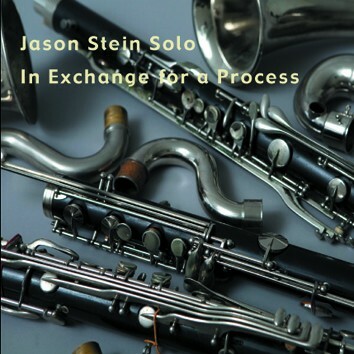 As Art Lange writes in his liner notes, "his are, to my ear, spontaneous etudes... Stein's solo improvisations are not abstract exercises. They are literally about the way he plays the bass clarinet, how his breath filters through it and is transformed into degrees of pitch, texture, tone color, percussion, and voice..."